Dr. Marcie Lenk has devoted her intellectual life and career to organizing educational programs and teaching Jews and Christians (and people of other faiths) to understand and appreciate the basic texts, ideas, history and faith of the other. She lives in Jerusalem, where she currently serves as the Academic Director of Institute Saint-Pierre de Sion, Ratisbonne: Bat Kol Christian Institute for Jewish Studies. She teaches patristics at the Studium Theologicum Salesianum at Ratisbonne Monastery, and Jewish and Christian texts at Ecce Homo Convent, and the Tantur Ecumenical Institute. For the last six years she served as director of Christian leadership programs at the Shalom Hartman Institute. She received her Ph.D. at Harvard University in 2010 with a dissertation entitled, The Apostolic Constitutions: Judaism and Anti-Judaism in the Construction of Christianity, and earned an M.T.S. from Harvard Divinity School, as well as an M.A. in Bible and B.A. in Mathematics and Jewish Studies from Yeshiva University. 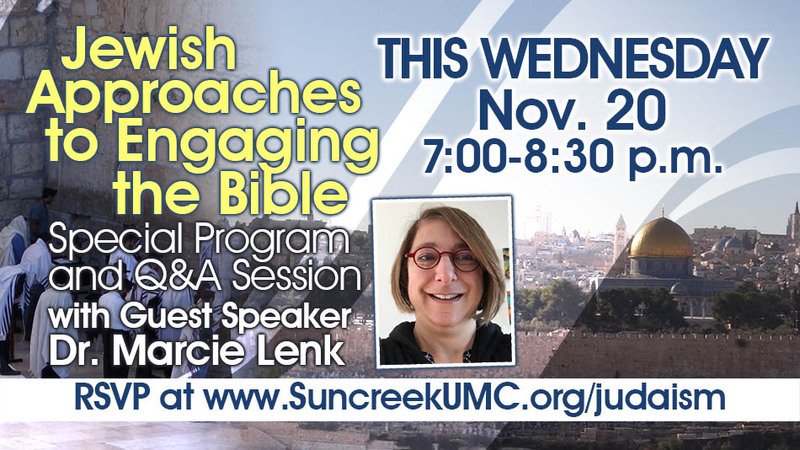 Dr. Lenk has lectured in Europe, Israel, and the United States, and has taught Early Christianity, Hebrew Bible, and Rabbinic Literature at institutions such as Boston University and City College of New York, as well as at Jewish and Christian seminaries in Israel and the United States. Please RSVP with the form on the right.